Some stories are certainly better than others, Bill Hoyt's "A Test of His Metal" is well developed with a satisfying twist, and Charles Jake's piece, "The Price of Ambition" is an enjoyable read that begs to be turned into a longer and more developed work and "Dance of Swords" by JC Kang is a well written slice of something clearly larger in scope that we can hope someday to read in entirety. 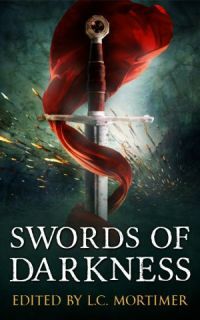 A few other stories seem less skilfully woven, however overall Swords of Darkness does not disappoint. FWIW, I also thought Jake's and Kang's were among the best of the lot. If you like swords, why not give LC Mortimer's first fantasy anthology a look?